London was meant to be a place of refuge where Atique Sharifi could put behind him the atrocities of his homeland. The young Afghan national was one of the few members of his family to escape death at the hands of the Taleban. But three years after fleeing Kabul, the 24-year-old Muslim was killed by a suicide bomber on a Piccadilly Line train at Russell Square. A resident of Hounslow in west London, Mr Sharifi had been studying English at West Thames College since September 2002, where he drew praise from staff. He worked in a pizza take-away in his spare time to send money back to his younger sister still in Afghanistan. Both of their parents had perished in the Kabul war. 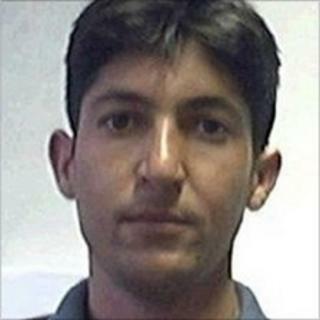 His college tutor, Harminder Ubhie, described Mr Sharifi as a highly-motivated student who could make the others laugh. "He was a delight to have in the group," she said. "From the first month I knew I could push this student. I knew he would be one of our high achievers. "I admired him for his dedication to come to my classes. He said it was because I was an excellent teacher and he was learning so much." She said he had a "youthful and energetic nature" and helped new members of the group to settle in. And his college principal, Thalia Marriott, pointed to the "deep irony" that Mr Sharifi had left his native Afghanistan to seek safety in the UK "only to find his fate at the hands of extremists here". When Afghan President Hamid Karzai later visited the victims' memorial garden at King's Cross station, he paid tribute to Mr Sharifi, laying a floral tribute of white roses and standing in silence. But it was Mr Sharifi's sole surviving close relative, his sister Farishta, who described most clearly the impact of his loss. She said in a statement to the 7 July victims' inquests: "He was not just a brother, he was also my friend and I still miss his telephone calls. "He was also protective of me, not just sending money home, but also making sure that he shouldered life's difficult responsibilities because he did not want me to worry about any concerns that he had or problems that he faced. "I feel that Atique's greatest achievement in life is the respect that he earned from all those who knew him during his lifetime and the good name he left for himself after his death."